Fly fishing instruction for trout can be provided in many forms: from an individual lesson either as an introduction to fly fishing or to improve a particular aspect of casting; as a series of lessons, perhaps forming part of a custom 'learn to fly fish' short break; or as a formal course. 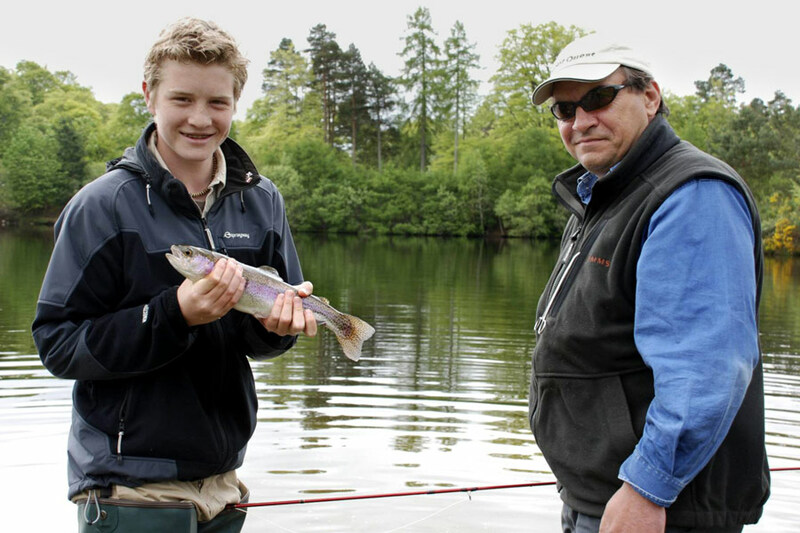 We usually offer casting lessons for individuals or small groups on our own private lochan, or nearby fisheries stocked with rainbow trout, but we quickly progress to wild brown trout waters. Casting lessons usually last from 1 to 2 hours, but for complete beginners, to start we would recommend our half day 'Introduction to Fly Fishing' lesson. 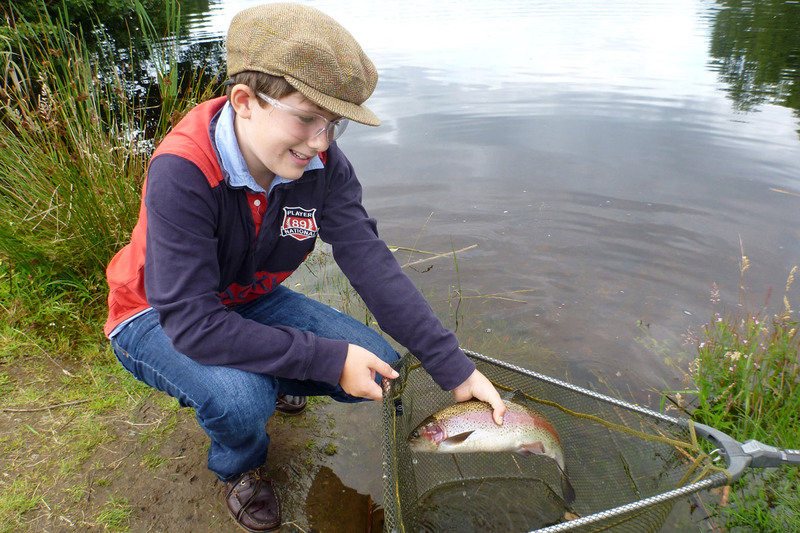 This session covers safety, fly fishing tackle, an introduction to fly casting, how to hook and play fish, and also includes some 'fishing time' - a chance to catch your first trout. It is designed to be an informative and fun introductory experience for novices. Occasionally, we run 'Learn to Fly Fish' weekend courses during the spring and early summer for those wanting to take a short break to learn to fly fish as part of a group, but the dates are restrictive, and for this reason, we generally find custom short breaks more convenient. Trout fishing instruction is not limited to casting. For those already proficient in casting, who want to widen their fishing skills we can provide instruction in different tactics e.g. you may have good experience of rainbow trout fishing and now want to learn 'loch style' boat fishing or dry fly river fishing for wild brown trout. Our custom 'Learn to Fly Fish' short breaks offer the most flexibility in terms of a holiday dedicated to a trout fishing introduction, as we will try to fit them to dates that suit you, rather than the other way around. Ideally we would usually recommend at least 3 days to provide a good grounding in the basic skills, but we can also achieve a lot in 2 days, e.g. over a weekend. 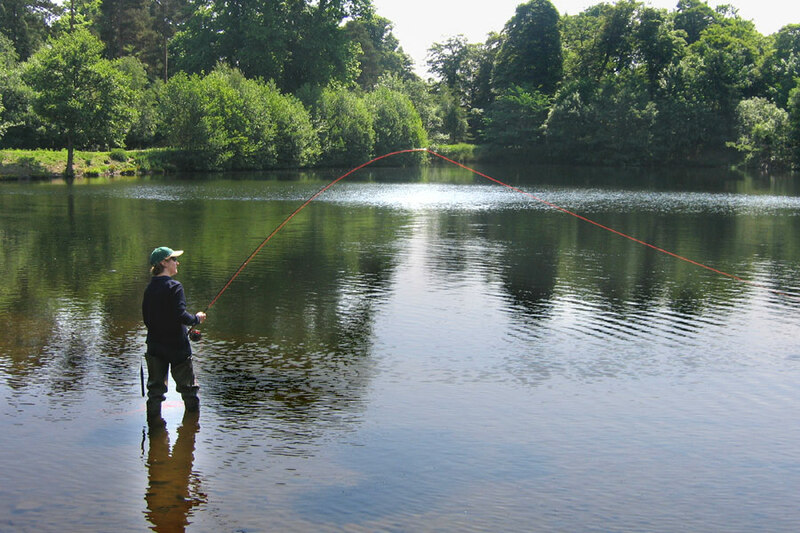 Follow this link for more information on our 'Learn to Fly Fish' Short Breaks. For all our tuition, we can provide all the fishing tackle required. For larger groups, where necessary and by prior arrangement, ghillies or additional qualified instructors can be brought in to assist. The video below includes highlights from a 3 day long 'Learn to Fly Fish' short break for 3 ladies. Each day included some formal casting instruction, followed by sessions developing fishing skills, and we also made two excursions to the hills to fish for wild brown trout; footage from one of these trips included here.